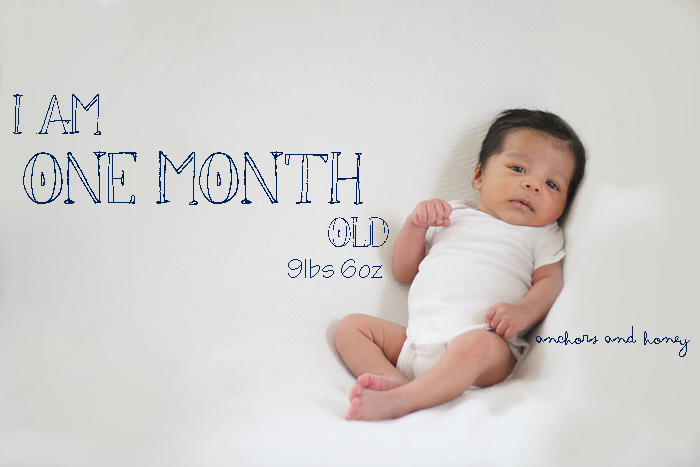 Can't believe my little guy is already one month old! It's been pretty hectic around the house. My husband went back to work after a long month off, so it's just me and the littles until my oldest gets home from school. Yesterday was my first night alone with them, since my husband is in the military he had to work over night. I was a little worried about how I was going to get my little one to bed with a baby. But it was easy! I just carried him in my ergo and he slept the entire time. He loves that thing. He's a good baby but has his moment were all that can comfort him are my arms! But he's getting better at being ok left alone on his swing or push & play. He's gained almost two pounds since he left the hospital and grew one inch. Has a love/hate relationship with bath time. Wakes up three times a night. Those pictures are absoloutley gorgeous. these photos are perfect! he is so sweet..